Hello everybody ! How are you ? Yesterday I spent my first day at the beach, then I went out for a walk and for some make up shopping...I ended up wearing my brand new vintage style dress and wedges. A few pics were taken, then something happened, something that seems funny but it was also painful...I fell from my wedges ! LOL ! I was lucky enough to fall on my right knee only, now it's all swollen and a has a few cuts on it...:-(. Ciao a tutti, come state ? Ieri ho trascorso la prima vera giornata al mare, poi sono uscita per un giretto e anche per andare a comprare un po' di make up...ho finito per indossare un abitino stile vintage, recente acquisto, e un paio di zeppe. Dopo pochissime foto, qualcosa è accaduto, se visto dall'esterno qualcosa di buffo ma anche di doloroso...sono caduta dalle zeppe ! LOL ! Ho avuto abbastanza fortuna in quanto sono caduta solo su di un ginocchio, ora è gonfio e ha anche qualche taglietto...:-(. outfit molto carinO! mi piace!! Ma che carino quell'abito vintage! bell'outfit, complimenti!! Adoro il tuo orologio!!!!! Thank God you are OK!! Nice outfit! Love the vintage dress! aww sorry about that fall. you look fabulous though!! Wedges can be so hard to walk with on some surfaces..
Gorgeous! I adore that dress it fits you perfectly and has a lovely print! lovely and adorable outfit, i love that dress..
You look gorgeous!! I love your vintage dress, very delicated! and your bag and shoes are perfect! Great, as always!! Super cute dress! Lovely pics! Ciao vale!! mannaggia! E' tanto gonfio? Povera!! Può succedere, pensa che Genova è fatta solo da strade sconnesse!! Nice outfit, your dress is beautiful!! Ciao cara!! 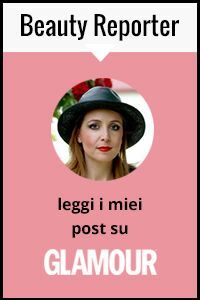 sono passata dal tuo blog, e diventata follower!! ;) tra poco pubblicherò le foto di Madrid, ti aspetto ;)..
Oh no!!! I'm glad you're ok! I know how embarrassing that is - I did that before and luckily no one was around to witness it! Great dress though and you look adorable! Be careful! :) Bruises on your knees is not a good look! Guearda sei in buona compagnia, io cado così spesso da tacchi e zeppe (è pure vero che mi ci metto a correre sui sanpietrini di notte...)che ormai non mi faccio nemmeno più male! mi spiace per la caduta! eppure avrei detto che le zeppe fossero più comode dei tacchi.. ero quasi tentata di comprarne un paio appunto per questioni pratiche visto che sui tacchi resisto tipo dieci minuti al massimo! Gorgeous dress! Love the mix of patterns!! I feel from my wedges too! I was with a friend of mine. She was speaking to me and all of a sudden I wasn't there anymore. LOL. I was kissing the floor, I guess. Love the pattern mix! Beautiful and perfect for summer...Graphic black is where it's at! Thx for the stopping by my blog, hope to see you back again soon! You have such an adorable blog, I love the layout/design did you do it yourself? I love your dress and heels. So cute! Oh my gosh! Sorry that you fell. At least you look cute. Oh no! Well you looked absolutely lovely so a little fall was worth it ;) I guess I'm a big kid because ice cream would still cheer me up! Awesome dress! Love it, love it, love it! I love your dress,its so so beautiful! CUTE dress!! I need it! Grazie mille!! Torna presto a trovarmi, ti aspetto!!! ahah Vale sei troppo forte! :) dai non ti preoccupare, succede a tutti di cadere dalle zeppe o dai tacchi! Per consolarti ti racconto una mia esperienza! Ero ad una festa in un locale che si trovava in cima ad una scala, erano le tre del mattino e stavamo andando via, ero stanca e non ci ho pensato, in fondo alle scale c'erano degli amici, volevo raggiungerli, faccio per scendere gli ultimi tre gradini e dimmi te se non volo per terra rovinando i tacchi di Max Mara? O.o pessima figura e pessimo risultato! ma vabbè, i tacchi si sono aggiustati e il livido è rientrato :D cmq anche io amo hello kitty! un bacio! Your dress is lovely, and those wedges are so cool! ohhhhh, beautiful outfit. I like it. mi ero scordato di cliccare per seguirti, d'ho, ti credo che non mi vedevi! I liked your beach photoshoot so much! Your fashion's sense is gorgeous! *o* I would like to see you trying gyaru fashion! the floral detailing on your dress it utterly gorgeous, and sorry to hear about your knee! Love the dress and the wedges! I'm so sorry about your fall. I hope your knee would be better soon. However, your outfit is really nice,and I love your wedges. Too bad they made you fall. Lovely dress, you look so beautiful!!!!!!! Oh my sweet Vale!! First of all, you look absolutely stunning in this dress and I love how you paired it with those lovely pearls and feminine bag! Second, I SO agree with you about wedges!!! Everyone told me they are so comfortable, which they are... but I have nearly fallen 10 times a night almost every time I wear them! Like you, I walk better in stilettos! haha :) I love these gorgeous photos and you are such a beauty. Great blog & great look! Always a slave to fashion!! At least the fall was minor and the wedges are adorable.....hopefully worth the pain! This outfit is perferct, love this dress. That dress is stunning - what a great print! Love the dress, so sweet! Thanks for your comment-following you now! Bonjour!!! Tres belle ta tenue!!! Chic et romantique!!! You look FAB! That dress & those shoes are GORGEOUS! ti ringrazio per il commento nel mio blog! scopro adesso il tuo..molto carino! Bè dai capita a tutte di cascare, ma wow hai fatto la rueda senza cascare dai tacchi a spillo, sei un mito! Well you look beautiful even though you fell. Glad you are ok. Love the outfit! Thanks for coming to our blog and commenting. Hope you have fun in NY! Hi Vale, I found you through a Her Late Night Cravings.. where about in Italy are you blogging from? I am myself blogging from Milan.. Let me know. Would be cool to stay in touch. Bacio! Sorry to hear about your fall. Hope that you are better. Se ti va passa da me, potremmo seguirci a vicenda! Ti aspettooo! Non ti preoccupare è successo a tutte di fare una bella caduta!! A me è successo con il tacchi a spillo però :D!! Bello il vestito!! vestito fantastico.Ti dona e fa molto Marilyn. Sweet dress! You look stunning! Have a great time in New York. I want to see pictures!! Ciao Vale! your dress is cute!! and very nice shoes ;) I'd like to see more of that. hope you'd visit my blog too! i'm so jealous that you walk better in stiletto's. i'm definitely the opposite when it comes to my wedges! ti va di dare un occhiata al mio blog?? io ti seguo e spero ricambierai! Thanks for commenting on my blog! I love your outfit and a beach sounds amazing! Are you Italian? My husband lived in Milano for 2 years! :) Have a great day! What bad luck! I hope you recover soon from your knee. I love your look and of course I love your bag of Camomilla. Come by my blog and see my election Camomilla. Want to win some super cute jewelry ? Beautiful pictures. Your vintage dress is adorable! I'm sorry that you fell from your wedges! I love that dress and those shoes!! polka dot is timeless chic! love the dress!